THE business rescue practitioner for Optimum Coal Mines said he had decided to reopen bidding to take the mines out of business rescue after receiving legal advice, and at the request of creditors and organised labour. Kurt Knoop, a business rescue practitioner for Manci Knoop Financial Services, said the business rescue plan published in December had proposed Project Halo as the preferred bidder to purchase the mining assets. 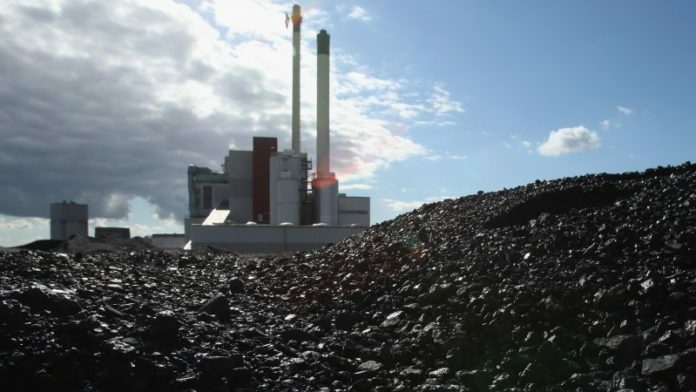 Bernard Swanepoel, a member of the Phakamani consortium which bid for Optimum Coal Mines, confirmed the BRPs had asked the consortium to re-submit an offer. Swanepoel is joined in the Phakamani by Mandla Gantsho, the chairman of Impala Platinum, petrochemicals giant Sasol, and African Rising Capital. “I was asked to resubmit a bid which I did on January 19. They [the BRPs] seem much more interested in talking to me now than before,” he said. This was despite an offer having being apparently accepted by Project Halo. According to a Bloomberg News report, Project Halo had submitted a bid for Optimum Coal Mines in which R2.8bn was offered for Optimum Coal Mine whilst sums of R200m and R50m were offered for Koornfontein Mines and Optimum Coal Terminal (RBCT entitlement) respectively. The company also promised to provide a further R600m in financing over the next six months “… to ensure continued business at the mines”. Its offer was thought to be backed by Macquarie Australia, but when asked how the Australians would be involved in its offer, Paul Buckley, one of the directors for Project Halo referred Miningmx to the bank. For its bid, Phakamani Consortium has the support of Trafigura, a commodity trader. Asked whether shareholders in Richards Bay Coal Terminal might object to the involvement of Trafigura in the Phakamani consortium’s bid, Swanepoel replied: “As long as Trafigura’s involvement is consistent with RBCT’s rules; as long as they operate in the shareholders’ agreement, I don’t think there will be a problem”. Swanepoel added that Phakamani would focus its investment on recapitalising the mines first and foremost. “What we’re saying – and which probably made the BRPs dislike our bid from the beginning – is that R1.2bn of the R2bn purchase price should be spent directly on the mine first,” he said. Optimum Coal Mines’ creditors would only be paid out of proceeds from the mines’ activities.